It is increasing the evidence that quinazolines are inhibitors of chromatin-associated proteins in histones. Quinazolines have a broad structural diversity among the structural classes that have been designed. Herein, we review the development of selective and potent quinazolines highlighting the current state of these molecules with an emphasis on the structural requirements for the interaction within the target. Chemical synthesis and results of the biological assays in vitro or in vivo of these compounds are also discussed. There is extensive evidence that support quinazoline derivatives as inhibitors of histone methyltransferase (G9a) and G9a-like protein (GLP). There is one quinazoline analogue that inhibits an extra-terminal bromodomain motif (BET) and that is on clinical trials as potential treatment for different chronic diseases. There is also clinical evidence that quinazolines act as dual inhibitors targeting histone deacetylases (HDACs) Zn2+-dependent and kinase receptors for the potential treatment of cancer. Additional proposals of quinazoline structures are being evaluated as inhibitors targeting two or more chromatin-associated proteins simultaneously. 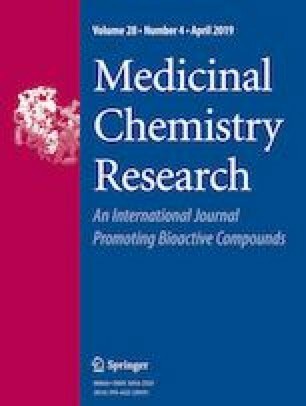 Therefore, further improvements in synthetic methods, computational studies, and additional biological assays in vitro and in vivo remain to be addressed. The online version of this article ( https://doi.org/10.1007/s00044-019-02300-0) contains supplementary material, which is available to authorized users. FSH-V acknowledges the MSc scholarship from CONACyT no. 629489. Authors are grateful to Rodrigo Aguayo-Ortiz and Jose A. Chamorro-Espino for their major contributions to prepare the figures of the manuscript. JLM-F thanks Consejo Nacional de Ciencia y Tecnologia (CONACyT) for grant 282785.